Stunning & Strong: Sublimation Printing at Opus! Modern, bold, & tough as nails: sublimation printing on white & clear-coated aluminium panels is available through the Opus Fine Art Digital Printing Service. Make the surface an integral part of your piece! The dyes, when infused into the clear-coated aluminum surface, will take on the metallic appearance of the panel, and colours will appear deeper than the original image. 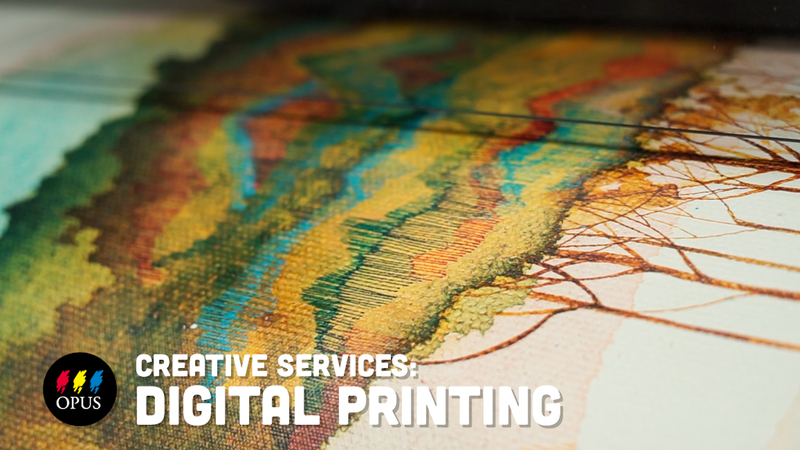 Provide your print with an impressive backdrop of shimmering brights, and a lively colour shift! Sublimation printing on Clear-Aluminium Panels is available in 7 sizes from 8" × 10" to 20" × 24"
The high-gloss finish of the white-coated surface provides an impressive backdrop that brings twinkling whites and a warm colour shift to your print. Both vividly coloured images and black and white photography yield impressive results with this option. The tough and ultra-thin 1.14 mm aluminium panels look exceptional on display, with the included C-Bar hanging system offering a light-as-air floating presentation. 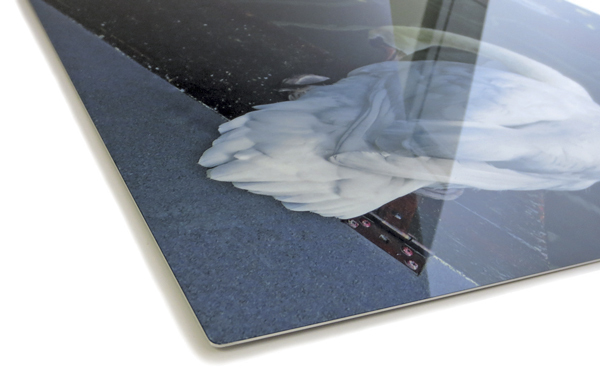 White-coated sublimation printing is available in 15 sizes from 8" × 10" to 30" × 40"
Sublimation is a unique printing technique that allows images to be printed on non-traditional substrates like metal. Unlike a standard inkjet print on paper or canvas, sublimation uses a special range of dye-based inks that areImage credits: Edward Wong heat set onto the white, polymer coating on the prepared aluminum sheet. The transfer process and high heat changes the ink from solid to gas, infusing the porous polymer coating. When removed from the heat source and cooled, the dye particles revert to a solid, so they become a permanent part of the aluminum sheet, rather than sitting on the surface like a laminated a paper print or printing on top of the panel. This means that the ink can never be removed or washed out. The metal panels are created from post-consumer recycled aluminum, and the ink-receptive poly coating contains no volatile organic compounds, lead or heavy metals, and is cured using a low-energy process. The high-gloss finish of White-Coated Aluminium Print provides an impressive backdrop that brings twinkling whites and a warm colour shift to your print. Images tend to take on a warm colour shift as a result of the process that cannot be replicated on other media. The Clear-Coated Aluminium allows the metal surface to shine through, making the metallic surface an integral part of your print. When the dye fuses with the polymer topcoat, it creates an extremely durable surface that is resistant to scratching, stains, moisture, and UV fade. This tough print can be confidently displayed without the need for a frame or protective glazing. Sublimation prints come with the C-Bar Hanging System installed to easily create a frameless display that floats from the wall, available in two profiles depths. Please note that due to the nature of this product, a warm colour shift will occur with your image. While we work with a dedicated independent colour consultant, colour shift is characteristic when printing to the coated aluminum surface. The coating on the panel is also subject to minor surface imperfections such as spots or bubbling. While we do our best to obscure these imperfections, they are inherent in the panel coating and may appear in your print. Facemounting is one of the most popular treatments for digital prints, and it is natural that a glossy sublimation print on metal would draw comparisons. But, the two products differ greatly in materials, process, and the overall look of the image. So how do you choose the right product for your digital file? Facemount starts with a pigment-based ink and fine art digital paper - either resin-coated gloss photo paper or Moab Slickrock Metallic Pearl. The print is then laminated onto an aluminum composite backing, and faced with a clear adhesive, permanently mounted to acrylic. Sublimation prints are created through an image transfer process that includes a specialty dye-transfer image that is then heat-set into the surface of the metal. Sublimation prints do not involve any mounting or laminating. Both Facemount and sublimation offer long-lasting prints. The Facemount adhesive that laminates the print to the acrylic contains UV stabilizers that prevent light fade or yellowing of the adhesive and image, resulting in a long-lasting print. The acrylic layer of a Facemount should be cleaned with a soft cloth to avoid minor surface abrasions. The sublimation print is more durable, as the application of heat during the transfer process fuses the ink into the surface layer of the aluminum sheet. The inks cannot be removed, scratched out, or washed out with water. Sublimation prints can be easily cleaned with water and a soft cloth, and are not as prone to surface scratches as the acrylic Facemount. No need to worry about chips in the edges of the sublimation print should it accidentally be bumped or knocked off the wall. The different surfaces of these two products create different results in the printed image, and one treatment may be more effective with what you want your image to convey than others. The added acrylic on Facemount prints emphasizing the colour and contrast within your image. With images with a shallow depth of field, this can create a near-3D effect. If colour accuracy is essential, a Facemount with RC Gloss paper will produce the greatest results as the glossy, bright white base paper has a wide gamut and exceptional colour brilliance. Facemount prints on Slickrock Metallic Pearl have a slight, metallic colour shift, particularly in the light or white portions of the photo, where the colour of the base paper shines through. This adds a cool, pearlescent tone, which brings a sparkle to images with bright whites, metals, or interesting lighting effects. 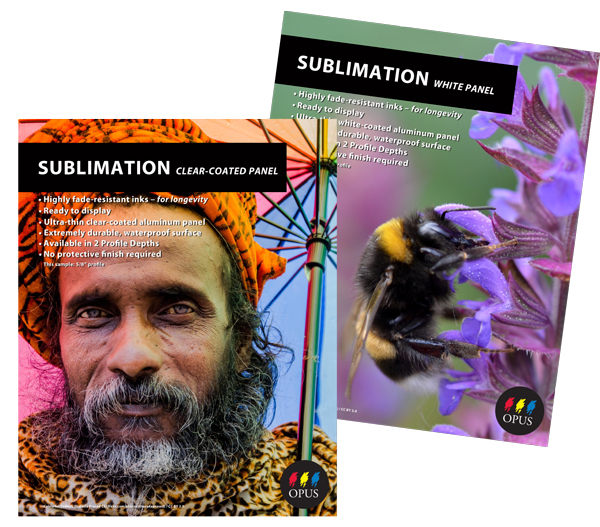 Sublimation has a slightly smaller colour gamut than a print on paper, so subtle contrast may be lost, but the high-gloss finish provides an impressive backdrop that brings twinkling whites, and a warm colour shift to your print. Both vividly coloured images and black and white photography yield impressive results with sublimation printing. While there are similarities between Facemount and sublimation printing, they produce different effects with your image. 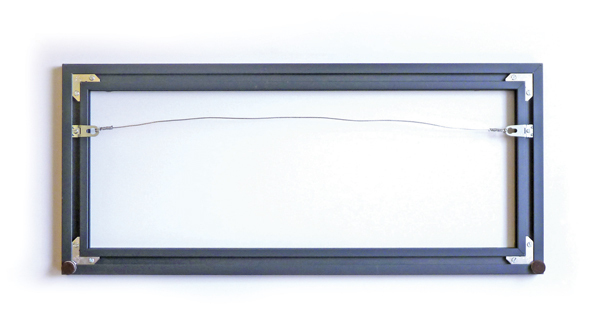 They both offer a long lasting, modern, frameless display for your image, with the included C-Bar Hanging System, available in ⅝″ and 1¼″ deep profiles. The choice between these two printing options becomes all about personal preference and the overall impression that you want to create with your print.